From Mississippi to St. Louis to Chicago, everyone appreciates the blues. 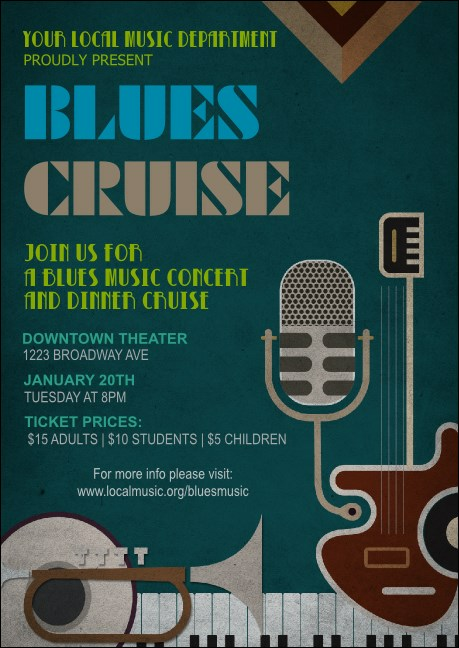 Promote your next show by sending out the Blues Postcard in advance. This colorful, artistic postcard template includes fifteen lines for your event information with sharp, bright colors on a dark teal background. Find the right promotional needs for your next event at TicketRiver.com.au.